NCAA Championship game, April 5, 1993 — “I cost our team the game.” Chris Webber’s fabulous performance against North Carolina – 23 points, 11 rebounds, 3 blocks – will forever be overshadowed by his late mistake. Michigan trailed 73-71 when Webber snatched a rebound, dribbled upcourt and called timeout. Except the Wolverines didn’t have any left. Technical foul. The Heels sunk the free throws and walked away winners. More Michigan fans care about football anyway. They ended up getting rid of their coach Steve Fischer and that was a big mistake. Look at what he has done at San Diego State!!! I have been slowly watching some of the 8 hours of film that my sons Wilson and Hunter brought home last Sunday night from their 7 day trip to California March 21 to 27. Last night I saw them driving on the snow covered mountains near Yosemite National Park. They stopped the car several times and took filmed the beautiful snow covered mountains. At one point they walked up to a couple of deer and almost pet them. The highlight of the clips for me was the site of the Sequoia trees. They actually walked through the base of one of the trees. Wilson commented, “This is a neat cave,” but actually it was a tree that he was walking through. The gun below was used in the assassination attempt on President Reagan. William Browning wrote the article “Ronald Reagan Assassination Attempt Key Players” (March 26, 2011) for Yahoo News. Browning is a research librarian. Below is a portion of that article. The assassination attempt on President Ronald Reagan occurred a mere 69 days into his administration March 30, 1981. He is the only president to survive taking a bullet thanks to surgeons at George Washington University Hospital. Many key people were involved in the shooting that day. Had the assassination attempt never happened, many of the key figures surrounding the event would not be known today. Reagan finished giving a speech to the AFL-CIO at the Washington Hilton. Just before 1:45 p.m., a man brandishing a gun called out to Reagan and then fired six bullets, four of which found their marks on four separate individuals. Reagan spent nearly two weeks in the hospital recovering at George Washington University Hospital. Press Secretary James Brady was shot in the head by Hinckley’s first bullet and survived although he was paralyzed and confined to a wheelchair for the rest of his life. President Bill Clinton signed a gun control law in 1993 named the Brady Handgun Violence Protection Act or the “Brady Bill.” The press room of the White House is named after him in his honor. Brady currently serves on the Board of Trustees of the Brady Center to Prevent Gun Violence. Thomas Delahanty was a Washington, D.C. police officer who was shot in the back by one of Hinckley’s bullets. He tried to return to normal duty but was forced to retire shortly after the assassination attempt. Network coverage of President Ronald Reagan being shot March 30, 1981. Part 7 of 11. Christian Laettner’s game-winning shot ended one of the great games in NCAA Tournament history. It is the moment that is replayed every March. It is “The Shot” or the Laettner game. With 2.1 seconds to go in overtime and trailing 103-102, Duke forward Grant Hill throws a full-court pass that is caught by Christian Laettner at the top of the key. Laettner dribbles once after the catch and shoots an 18-foot fade away that goes through the net as time expired to send Duke to the Final Four for the fifth straight year. Laettner finishes the game with 31 points as he makes all ten of his shots and all ten of his free throws in what most experts consider to be the greatest game in NCAA tournament history. In fact, I pointed to a poll that showed clearly that over 80% of the people in Fayetteville oppose this move. Since then the Democrats have questioned the results of that poll even though they dare not run a poll of their own. Maybe someday the Republicans will win the majority and consider putting Fayetteville back in the 3rd district? Jay Barth is M.E. and Ima Graves Peace Distinguished Professor of Politics Chair of the Department of Politics and International Relations Director of Civic Engagement Projects at Hendrix College. He wrote the article Legal Gerrymandering in the Arkansas Times. The best way for Arkansas’s Republicans to reshape district lines in their favor is to win control of state government by the time the next redistricting process takes place. (A more complex issue is whether they could do that before the next census, as the Texas legislature—driven by House Majority Leader Tom Delay—did in the middle part of the last decade.) For this is an area where elections truly have consequences. The Fayetteville Finger has only one purpose — to pull more Democrats into the First and Fourth districts while cramming as many Republicans as possible into the Third. It’s winning not by persuading voters to a particular point of view but instead by simply shifting them out of the way. That kind of power grab has a long history in American politics — it’s called “gerrymandering” — but we haven’t seen it in traditionally one-party Arkansas until this year. I’ll give the Democrats this — at least they are being honest about their intentions. And it could be worse. Some districts in other states look like jigsaw puzzles even my mom wouldn’t have tackled. The idea actually appears to strengthen the GOP’s position in the Second District, won in 2010 by a Republican, Tim Griffin. Still, this kind of game-playing hasn’t been the status quo before and doesn’t need to become the status quo now. Parties should win elections by earning the trust of a majority of voters, not by redrawing maps. Fayetteville belongs in the Third District. The most glaring feature of the new map is that it still includes moving Fayetteville out of the third and into the fourth…. Gone is the Crawford County Slice and Franklin County move. Instead that go through Johnson, over the bridges of Madison County to wrap into Washington County and grab Fayetteville… The connection from Johnson County into Madison County is more dirt roads. We will have to wait and see how this drama plays out in the next few days. It only makes sense the movie “Hoosiers” was released during the 1986-87 season. The Hoosiers staged some Hollywood-style drama of their own to beat Syracuse for the NCAA title. Keith Smart scored 12 of Indiana’s final 15 points, including a feathery 16-foot jumper from the left side in the final seconds that capped a 74-73 win. Smart play, magical finish. The funny comment I heard from the Syracuse coach Jim Boeheim who said that after this game mentioned above, Bobby Knight told jim that he would get his national championship. Boeheim said he didn’t think at the time it would take 21 years later to do it. See remarkable video of John Hinckley Jr.’s assassination attempt and go behind the scenes to see how the White House managed a crisis that lifted the president to new heights of public approval. Network coverage of President Ronald Reagan being shot March 30, 1981. Part 4 of 11. John W. Hinckley, Jr. was determined to get the attention of actress Jodie Foster. After failing to get to know her at Yale University when she attended classes, the young man’s obsession took on a psychotic twist. He checked into a Washington, D.C., hotel the day before he attempted to kill Reagan after writing a letter to Foster. Hinckley hit four people by his bullets. A jury found him not guilty by reason of insanity over a year later. He currently resides at St. Elizabeth Hospital in Washington and has limited freedom. Network coverage of President Ronald Reagan being shot March 30, 1981. Part 5 of 11. Final Four, March 23, 1974 — For years, UCLA was unbeatable. The Bruins had won 7 straight titles and appeared poised for an 8th. But when an 88-game win streak was snapped in January, it opened the door for a new NCAA champ. North Carolina State, behind AP player of the year David Thompson, officially ended the Bruins’ reign with an 80-77 overtime win. The Wolfpack claimed the title two days later, but that was the easy part. 2nd OVT, final 14 mins. of the game and i added the famous hard dunk of David Thompson over 7’0’s Bill Walton (first 38 secs.). Wikipedia notes: Following his NBA career, Thompson continued a downward spiral with drugs and alcohol. With encouragement from a pastor, he became a committed Christian and put his life back in order. Thompson now devotes his time to working with young basketball players, helping them to aspire to his achievements and avoid his mistakes. His autobiography, Skywalker, charts the highs and lows of his eventful life. Thompson eventually returned to school at North Carolina State, and in 2003 nearly 30 years after his last game for the Wolfpack he finished his degree in sociology. In 2004 David helped make a movie about his life called “Skywalker”. Much of the movie was filmed at the Boys and Girls Club in Gastonia, NC with the assistance of Scott Jimison, a long time friend of David. Check out the Top 10 plays from the career of David Thompson. Network coverage of President Ronald Reagan being shot March 30, 1981. Part 2 of 11. 30 years ago in March, surgeons at George Washington University Hospital ended up saving the life of the leader of the free world. A gunman shot President Ronald Reagan in the chest. His condition on arrival so dire, doctors thought they might lose him. The minute-by-minute account of the trauma team in action is included in a new book called “Rawhide Down,” a play on the President’s Secret Service code name. What follows is the account of the doctor who headed that team. It took just three to four seconds after John Hinckley started firing his gun for Secret service agents to shove President Reagan into the armored limousine and roar off for the White House. Although the President looked okay, Jerry Parr, the agent in charge of the Presidential Detail, began examining Reagan from head to toe. “About Dupont Circle down here, maybe thirty seconds into the run, we’re moving pretty fast then, he started spitting up this bright red frothy blood,” Parr said. Parr then made the split second decision to turn right on Pennsylvania Avenue and head directly to George Washington University Hospital. As the president walked inside, he collapsed. It had only been three minutes or so since the shooting. “In retrospect he was pretty close to, we have a term, he was pretty close to crashing, in other words his blood pressure would have dropped down to zero, he is a seventy year old man, that would have been a significantly serious event”. Dr. Joseph Giordano was called to the trauma bay that day having no idea what was going on. Dr. Giordano headed up the trauma team and supervised the care the President was receiving. “Initially he looked very concerned as you would expect, I mean here he is lying on this gurney with a bunch of four or five people looking over him, people totally unknown to him, but he handled himself extraordinarily well and as things began to improve, the blood pressure got better and so forth like that he relaxed a little bit more,” said Dr. Giordano. That’s when Reagan began talking with the doctors. “He was communicating with us. We asked him how he was feeling, what was going on, he said he was a little short of breath, that sort of stuff,” said Dr. Giordano. But the X-rays showed there was a projectile in his chest and the decision was made to operate. By then, feeling a little bit better, the President started joking. Dr. Giordano says he stayed in the operating room and watched as Dr. Benjamin Aaron removed the bullet. The minute- by- minute account is included in a riveting new book called “Rawhide Down,” written by Washington Post reporter Del Wilbur. All these years later, Dr. Giordano still marvels at the split second decisions made that day to save the President’s life. He gives all the credit to Secret Service agent Jerry Parr for changing course and heading to the hospital. Network coverage of President Ronald Reagan being shot March 30, 1981. Part 3 of 11. NCAA Championship game, April 7, 2008 — It all happened so fast. Down 9 with 2:12 left, Kansas cut into Memphis’ lead and had a chance to tie. Kansas junior Mario Chalmers took the ball from teammate Sherron Collins at the top of the 3-point line and, with two seconds remaining, shot over two Memphis defenders. Tie game, Kansas wins in overtime. “Ten seconds to go, we’re thinking we’re national champs, all of a sudden a kid makes a shot, and we’re not,” Memphis coach John Calipari said. Calipari is back in the final four again. He is the second coach to take three programs to the final four (UMass 96, Memphis 2008, Kentucky 2008). The first coach to do that was Rick Pitino (Providence, Kentucky and Louisville). Thirty years ago today, on March 30, 1981, tragedy almost befell the American government when John Hinckley, a deranged drifter trying to impress actress Jodie Foster, on whom he had developed an obsession after seeing her in Taxi Driver, fired six shots from a .22-caliber revolver at President Ronald Reagan as the president left a speech he had given to the National Conference of Building and Construction Trades Department of the AFL-CIO at the Washington Hilton. More seriously wounded was Press Secretary James Brady, who was shot in the head and was permanently disabled. Brady went on, with his wife, Sarah, to champion gun control through the Brady Center to Prevent Gun Violence (and, hence, the Brady Bill was named in his honor when it was passed in 1993). Also wounded were Thomas K. Delahanty, who was hit in the neck by one of the shots and fell to the ground, and Timothy J. McCarthy, who leapt in front of Reagan, taking a bullet in the right chest. Coming just 18 years after the assassination of John F. Kennedy, and 13 years after the assassinations of Martin Luther King, Jr., and Robert F. Kennedy, many once again wondered about the safety of any occupant of the Oval Office as Reagan convalesced at George Washington hospital. Just 12 day after the shooting, however, Reagan was released. The president subsequently made a series of carefully staged public appearances designed to give the impression that he was recovering quickly, though in fact he remained seriously weakened for months and his workload was sharply curtailed. I remember getting finished with my college classes for the day and turning on my car. Then I felt a cold feeling go through my whole body when I realized immediately that special report on the radio was reporting there had been an assassination attempt on the president. I still remember today the exact place that I parked that day, and I did not even leave that space for the next few minutes as I wanted to find out exactly what had happened before I started moving down the road. Reflecting back on this always makes me think of all the people that told me that they had remembered where they were when they heard the news about President Kennedy’s assassination. Today is 30 years after that event. Below is a portion of an article by Paul Wagner of the Washington DC Fox News affiliate that was published on their website on March 11, 2011. 30 years ago in March, John Hinckley tried to assassinate President Ronald Reagan as he walked to his limousine outside the Washington Hilton Hotel. The chaotic and tragic moments were preserved forever by photographers who were there that day. It is a day in history that is now the subject of a book titled “Rawhide Down.” The book is a riveting minute-by-minute account of what happened to President Reagan on March 30, 1981. It is a shooting experienced first hand by Jerry Parr, the head of the President’s Secret Service detail. What follows is Parr’s recollections of the day’s tragic events. At 2:27 pm, March 30, 1981, President Reagan walked out of the VIP entrance of the Washington Hilton Hotel. Waiting for him with a loaded .22 caliber revolver was Hinckley, standing amongst of group of reporters, photographers and people who just wanted to catch a glimpse of the president. Parr is standing just behind the President as the shots ring out. As Head of the Secret Service Presidential Detail, Parr assigned himself to work with Reagan that day in hopes of bonding with the President. By then, Reagan had been in office for just over two months. Parr agreed to go back to the Hilton where we talked to him about the shooting and the decisions he made. “Shattick (Ray Shaddick, another agent on the detail) sees our feet hanging out and he throws my feet and the President’s feet and slams the door and I told the driver to leave. That door is shut in three seconds from the first shot to the door being shut,” Parr said. As the limousine roars off, Parr notices an unusual mark on the bulletproof glass of the rear door. “I saw two things when I left as we pulled out of here. One is the bullet hole in the window that didn’t penetrate at all. It dimpled out. It’s got this glass and then a film in between it and then they pack it together. But I could see that it had been hit there and I could see three bodies on the sidewalk as we pulled away,” he said. By now, other agents had wrestled Hinckley to the ground. Later, they would say he was still pulling the trigger. Fearful someone would harm Hinckley, the agents left behind hustled the would-be assassin into a police cruiser for the short ride to D.C. Police headquarters. At the same time, Parr was examining the President to see if he was hurt. “Crown” was the Secret Service code word for the White House. As the limousine approached 17th Street and Pennsylvania Avenue, it made a hard right turn for the hospital. It was a decision many believe saved the President’s life. As Reagan’s limo pulled up to the hospital’s front entrance, Parr says he was surprised to see no one waiting there. “Shaddick opened the door and I backed out. I put my hand out, but he didn’t want to take it. He had a habit of hitching his pants up, so he hitches his pants up and we walked in. I’m on the left-hand side of him and Shaddick is on the right. I go in and maybe 20 or 30 feet and he collapses. I mean he is dead weight,” Parr said. What happens next is explained in a riveting minute-by-minute account of a trauma team in action. “Rawhide Down,” written by Washington Post Reporter Del Quentin Wilber, tells the story of Reagan’s brush with death and how some doctors, nurses and even Parr thought the President might die. “Eventually they put Brady (White House Press Secretary Jim Brady) right beside him with a drape between us and Tim McCarthy (wounded Secret Service Agent) was there. Delahanty (wounded D.C. Police Officer) went to the Washington Hospital Center and I was concerned he would pass away because I knew what it meant to the Secret Service to lose a President,” said Parr. He stayed with the President as the doctors and nurses scrambled to find out why Reagan couldn’t breath. “They told him they were going to operate because blood was coming out faster then they put it in, so I walked over to him and I said, ‘God save your life’ or something like that. I don’t know now, but I said something like that. It’s about all I could do,” Parr said. Political columnist John Brummett analyzes the latest developments at the Arkansas Legislatures. As the legislative session enters what is scheduled to be its final week, some lawmakers say they are seeking a compromise on the biggest issue they have yet to resolve: How to redraw the boundaries of the state’s four congressional districts. “We need to not leave without a good, fair map,” said Sen. Johnny Key, R-Mountain Home, the sponsor of a redistricting proposal that has not yet been presented in committee. Key said he hopes a compromise plan will emerge early this week. He said he did not know whether the plan would be an amended version of his proposal or would be incorporated into someone else’s bill. The only proposal that has cleared a committee is House Bill 1836 by Rep. Clark Hall D-Marvell, which was endorsed by the House State Agencies and Governmental Affairs Committee on Wednesday. Hall said Friday he planned to run the bill in its present form on the House floor early this week. Hall’s proposal would extend the 1st District into the Democratically controlled southeastern corner of the state and extend a narrow reach of the 4th District into Washington County to encompass the Democratic enclave of Fayetteville, home to the University of Arkansas. Republicans call the plan a naked attempt to put Democrats in a position to unseat 1st District U.S. Rep. Rick Crawford, R-Jonesboro, who was elected in November to the seat previously held by Democrat Marion Berry, while bringing Fayetteville into the 4th District, home to Arkansas’ only Democratic congressman, Mike Ross of Prescott. “The Democratic Party is using Washington-style tactics and parliamentary ploys to reverse the will of Arkansas voters who chose to have a majority Republican congressional delegation,” state Republican Party Chairman Doyle Webb said last week. Webb threatened a lawsuit if the proposal becomes law. “They’re just yelling things out because they don’t like the plan, because it doesn’t provide as much incumbent protection for their three office holders as they would like,” responded state Democratic Party Chairman Will Bond. Bond called Hall’s plan “a perfectly fine and legal map” that equalizes population between the districts and preserves the principle of one person, one vote. Compared with the other 431 U.S. House districts, Hall’s proposal would not even crack the top 100 for odd configurations, he said. The Democrats can talk all they want about how this plan is not out of the ordinary, but the clear facts give a different picture. This plan cuts through lots of counties and splits them up for the political purpose of attempting to get about 30,000 Democrats out of Fayetteville and putting them in the 4th District. Jason Tolbert pointed that the slice of Crawford County only includes 67 voters (some of the land pictured below). The Democrats are sticking it to the Republicans on this one, and I doubt that the Republicans will be able to keep Fayetteville where it belongs. Earlier Brummett suggested sending Ft Smith to the 4th, but since this new idea came around there will be no more talk of that. Yesterday I got to hear Mike Anderson on 103.7 the buzz. Mike is really firing up the fans and I think he will be a great coach, but not in the first year. People all around me are jumping to conclusions. They tell me that we are going to the final four for sure next year. Take a look at North Carolina and the success that Roy Williams has had. However, how did the Tarhills do last year with all that young talent? They had a losing record!!! It takes time and I think (unless you bring in 4 of the top 20 players in the country every year like Calipari does) then you have to get your young players some experience. Look at how good the Tarhills were this year with 4 underclassmen starting (only two freshmen though). Anderson will be fine but not in the first year. I expect records of 19-14 the first year and 26-5 in the second year. You heard it here first. Just a few weeks ago I got to hear Scotty Thurman speak at the First Baptist Church Sports Zone Luncheon and he did a great job. We all got a thrill when that video clip of him making the three against Duke was shown. Harry King mentioned it too in his latest article. We are ready for the good ole days to return. 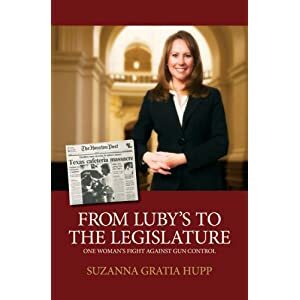 Several years ago, owing to our gun-addicted culture and to our insistence on being ruled by our fears, our Legislature gave us a law by which a competent and law-abiding person could take a little training course and get a permit to carry a concealed weapon. It was, while lamentable in a general way, fine by me specifically. I have more concern about a person who seeks and holds no permit for the gun he conceals. I think that person who “holds no permit for the gun he conceals” also concerns me. However, unlike Brummett I do not pretend to think that there is any amount of laws that will keep that criminal from getting a gun. The honest people are the only ones actually restricted by gun control laws. My wife’s grandfather was Lecil Richard “Tom” Sawyer and he lived from September 30, 1906 to September 5, 2004. He was one of the most outstanding men I have ever known. In Waldron, he was a legendary football coach that won 87% of games during the 30’s, 40’s and 50’s, and they would later name the football field after him. Coach Sawyer was married for over 60 years to Vera Mae Martin Sawyer, and their children are Tom Franklin Sawyer of Houston, Texas (who is my father-in-law) and State Senator Mary Anne Salmon of North Little Rock (who is my wife’s aunt). Most of the details for this article come from an interview I had on Dec. 22nd with Edward “Odell” Fryar who was a running back on the Waldron Bulldog team. Odell and his wife Peggy live in Little Rock, and I got to know them in 1983 when I was a member of Little Rock’s First Baptist Church. “My father was a great motivator and encourager and those two qualities brought out the best in his players,” daughter Mary Anne Salmon said. Fryar was a junior on the district winning 1948 team, and actually Waldron won the district all three years that Fryar was on the team (1947-49). Waldron was a small town of only 1,292 people in 1948 and Benton had over 6,000 people. Fryar said it was not unusual for Waldron to have 30 players dressed out and to be facing teams that had many more players and also the opposing players would be much larger than they were. The day after Thanksgiving in 1948, Waldron had traveled to Bentonville and beat the undefeated Tigers. Fryar said that the Tigers should have won the game, but two trick plays resulted in big plays for Waldron. The first was on a kick off when Herman Jones faked a hand off to Buddy Rogers while returning a kickoff, and all the team blocked for Rogers. The result was that the whole Bentonville team tried to pursue Rogers while Jones hid the ball on his hip and ran slowly all the way to the 10 -yard line. The second trick play involved Fryar getting a pitch from the quarterback, Leon Bobbitt, and running hard to the left. When the defense rushed him, he threw a long 45 -yard lofty pass to Bush McGaugh who was wide open, and McGaugh ran under it and took it for a long touchdown play. That resulted in a 20-19 victory over a very good Bentonville team. Now, Waldron would advance to play the Benton Panthers in the state playoffs. The victory over Bentonville was a costly one for the Waldron Bulldogs. Johnny Evans, the star running back,was banged up and Fryar had to replace him most of the time for the Benton game. Fryar said there was a big crowd on hand and a thick fog settling over the field. The Panthers had more players suited out than Waldron, and they looked much bigger than the Bulldogs did too. However, Waldron had the tallest player on the field with tight end Don Sevier who was 6-8, and later Sevier earned All Conference honors for Arkansas Tech in basketball as their center, and eventually served as the Athletic Director for Arkansas Tech. Benton Panther standout players included Bill Level, a 225 lb tackle, who was a four year letterman, and “Shoat” Shoppach, 165 lb left halfback. The Benton Panthers were pushed to defeat the unbeaten and untied Waldron Bulldogs 13-6 at Lewis Stadium Friday night. The Panthers scored late in the second quarter on a pass from Erwin to Jennings, who was standing in the end zone. Lovell’s try for the extra point was good. The Panthers led 7-0 at the half. Benton kicked off to start the last half. One play after the kick off Buddy Rogers got on a 75 yard run, and was brought down on the 5 yard line. Two plays later Herman Jones try for the extra point was blocked. Benton led 7-6. Benton scored in the last quarter on a pass from Erwin to Smith that was good for 35 yards and Smith ran 20 more to score. Lovell’s kick for the extra point was blocked. Waldron was hampered by injuries, and many of the players had to be taken from the field. There was a fog all the last half which made seeing the ball difficult for the players, as well as the fans. The final score was Benton 13, Waldron 6. Probably the greatest legacy that Sawyer had was the family and friends that he influenced. 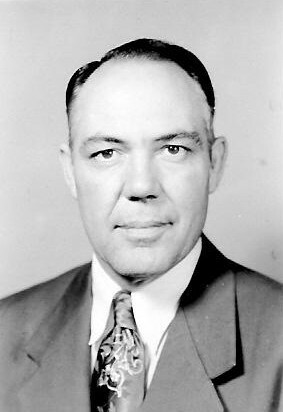 Not only did Sawyer serve as football coach but he was the Waldron School Superintendent from 1934 to 1975 and Mayor of Waldron from 1975 to 1983. He also taught a men’s Sunday School Class at the Waldron First Baptist Church for many years. Rice said that even though Sawyer could have moved on to have “achieve lofty heights and big pay,” he chose to stay and touch the lives of thousands of people in Scott County. William Roy Wilson, Jr., an United States Senior District Judge, recalls a story from his senior year at Waldron High School involving Sawyer and some chewing gum. I hope that one day Luke will ask me why I chose the name “PapPaw, and I will be glad to tell him. LR “Tom” Sawyer shown at his desk at Waldron School District around 1940. Today I am profiling St lawmaker Terry Rice of Waldron who I deeply respect. First Baptist Church were the Sawyers got to know him. I am passionate in my belief that we cannot continue the status quo. We cannot tax and spend our way to prosperity. Government must become more efficient just as successful businesses have. With over 35 years business experience I am president and co-owner of three Rice Furniture & Appliance stores. I believe our state needs to foster the right environment to attract business while at the same time practicing tax conservation for the future. I currently serve on the southeast region board of Associated Volume Buyers/ Brand Source national dealer group and am past president of the Arkansas Home Furnishings Association, serving on the board for over ten years. Serving people’s needs and solving problems are everyday goals for me in our family’s 58 year third generation business. I have been recognized as state and region “Dealer of the Year” from our various industry associates. I believe our faith, life and family values are the foundation of this great country and must stand before political correctness. Lifelong residents of Scott County, my wife, JoAnn, and I have been married 35 years, have 2 sons, Jeremy and wife, Kim, and Paul and wife, Sarah, who have blessed us with four grandchildren. We are active members of the Bates Baptist Church. I have raised cattle and have been a long time supporter of FFA and 4-H Youth livestock programs. I understand the importance agriculture plays in District 62 and the state. I helped establish and served as past president of the State Line Volunteer Fire Department and will support our community fire departments. I have long been interested in our legislative process and feel now is the time to make a difference by voicing my conservative values for our future. Hard work and a common sense approach are needed to serve District 62. I do not seek personal gain or recognition from the office and only seek to work for the good of all people. I stand for principles and integrity. I follow the tradition of proven leaders. My dad, W.R. Bud Rice, served South Sebastian and Scott counties as state representative for 18 years from 1977-1995. My granddad, Worth Rice, served in the House from 1935-1939. I know the education and training of Arkansans is vital for our state to compete and I will work to further improve those goals. I look forward to meeting and listening to your concerns during this campaign. I believe when Arkansans passed term limits for serving in political office their intent was to be represented by ideas and fresh view points that come from the people and not a single view point passed back and forth from spouses swapping political offices. This is about the people having a choice to have their voices heard. I am dedicated to spending the time and resources needed to serve District 62 in the Arkansas House of Representatives, and I will be the one who handles constituent concerns myself as your elected official. Please feel free to contact me about the issues that are important to you. I humbly ask for your vote and support in the November 4th General Election. Let us first take the matter of guns in church. But because yahoo busybodies inevitably over-legislate with their big-government intrusion, the Legislature felt obliged to put into this law a litany of locations into which one could not carry this otherwise legal and licensed concealed weapon. We simply could have provided generally what ought to be a common-law assumption — that any property owner could deny admittance to his property, whether personal or commercial or otherwise, to persons with a concealed weapon. Or, imagine this, we could have left everything to human judgment and human reason and human liberty. But instead the yahoo busybodies felt it necessary to legislate that a licensed carrier of a concealed weapon could take the hidden pistol into a restaurant, but not into a bar; and could take it happily down the street, but not into a government office or sporting event; and could not take it into a church. Nowhere in these nanny-state edicts did these yahoo busybodies explain what the licensed gun-carrier was supposed to do with this usually legal gun from which he had to keep separating himself as he went about his life’s route. Regarding church, the law essentially invited a person to carry his gun into the church parking lot, but then to put it under his car seat to be stolen while he was inside worshipping. Here’s the deal: We have gazillions of guns. We have a law letting law-abiding people conceal these guns on their persons. It is better to let these law-abiding people keep these licensed guns concealed on their persons, and to trust them to behave appropriately in whatever venue they’re inhabiting, than to leave these guns laying around. Anyway, government should not be able under the U.S. Constitution to dictate to a church whom to allow on its pews and under what circumstances. That ought to be left to the elders or deacons or bishops. We just cannot seem to get our arms around this separation of church and state, can we? So some folks got worried that they were going to get shot in church. They thought they might need their weapon in such a case. Because we put this church exception into the law in the first place, it becomes necessary to remove the exception if we are to oblige those who want to be able to return fire legally in the sanctuary. And there you have the basis for this bill by which we attract national ridicule for seeming to be arming for shoot-’em-ups in our churches. I do think that Brummett is right in much of what he had to say. I did want to make one further observation. Let me quote from an article “Gun Control:Myths and Realities” by David Lampo of the Cato Institute. 4. States that allow registered citizens to carry concealed weapons have lower crime rates than those that don’t. This happens to be true. The 31 states that have “shall issue” laws allowing private citizens to carry concealed weapons have, on average, a 24 percent lower violent crime rate, a 19 percent lower murder rate and a 39 percent lower robbery rate than states that forbid concealed weapons. In fact, the nine states with the lowest violent crime rates are all right-to-carry states. Remarkably, guns are used for self-defense more than 2 million times a year, three to five times the estimated number of violent crimes committed with guns.